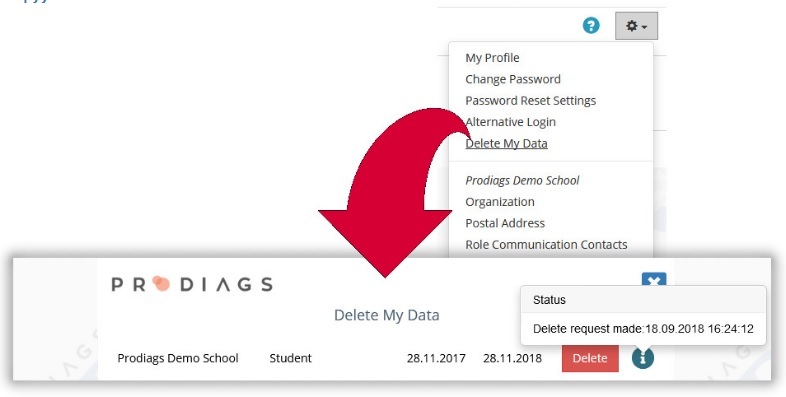 The aim of GDPR is to improve the rights of the EU citizen in terms of data protection, privacy and the confidentiality of personal data, Prodiags has therefore adjusted the data settings for its users. For client organisations, Prodiags Oy acts as a system administrator, ie as a data processor. 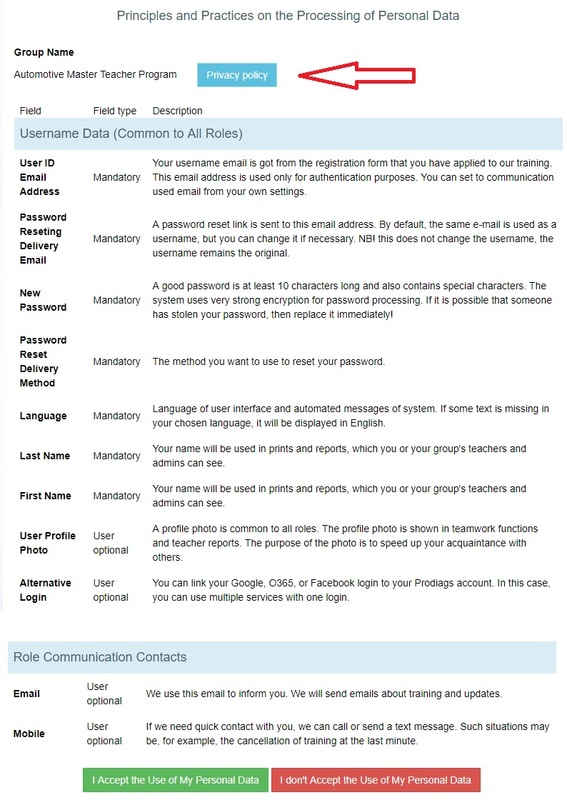 When you sign in to Prodiag for the first time, you will be presented with descriptions of the personal information you are processing and you will be asked to accept their use. This query needs to be answered only once, but it is asked separately for each username / role you use. When you agree to the use of your personal data, Prodiags’ normal use may begin. Your approval is valid for the time being or until the administrator updates the query. If you do not agree to the use of personal information, you will be taken to the role / username deletion view. The actual deletion is confirmed by e-mail, similarly to activating the user ID. You can also delete your user information from the “Delete My Data” settings. Deleting takes a role at a time, if you only have one role, your username will be deleted. Remember: Deletion does not happen immediately, you’ll get a link in your email that is valid for three days. Just by clicking the confirmation link, your information and username will be deleted. For more information: please leave a comment or contact us.